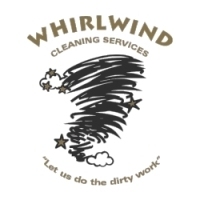 Whirlwind Cleaning | "Let us do the dirty work!" "Let us do the dirty work!" We are Vancouver's only Move In/Move Out cleaning specialists! In addition we offer a full range of commercial cleaning services, including Strata Buildings, Commercial Offices, Showrooms and Warehouse, Post Renovation and Stagings, as well as Pre & Post Sale. Get your free quotation today. 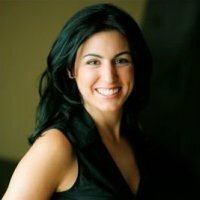 Natasha and her Whirlwind team have been serving clients with a smile since 1996! With almost two decades of service excellence behind her, you can't go wrong with choosing Whirlwind Cleaning Inc. With a business strongly founded on personal and business referrals, you can feel secure in choosing WHIRLWIND as your commercial cleaning provider! With almost 2 decades in the cleaning industry, we've discovered a real need for a specialized focus in Move In/Move Out cleaning. Many companies can only provide a light, domestic-style service which is not what a homeowner or realtor needs at staging and moving time. Nothing says welcome home or "buy me" more than a deep meticulous clean. Whether you hire us for Move In/Move Out or strata, office or showroom cleaning, we are committed to providing you with the highest level of personalized professional service. Cleaning can often be an impersonal business, but we don't think it has to be. We love getting to know you so we can deliver the best service possible, every time. As your cleaning team, Whirlwind Cleaning caters to your preferences and unique needs when we design the cleaning strategy for your space. We want to hear your feedback because knowing your likes or dislikes, or knowing how your needs have changed, helps us deliver to you the highest level of cleaning service.